The article below was written by yours truly along with contributing writer, Falana Fray. The article will be featured in the June/July issue of my publication, WhereItzAt Magazine. Somehow you get the feeling that today isn’t the best day to plan a family trip to Jamaica. “I heard rapid-fire gunshots in the background while I was talking to my dad over the phone,” murmurs Jennifer Hertford, a 27-year-old legal assistant residing in Queens, New York. Hertford did not expect that she would begin her Monday talking to the Editor-In-Chief of WhereItzAt, but tense circumstances like these often call for attentive ears. The Jamaican-born lawyer-to-be was supposed to be brushing up on her studies for a final exam. Yet, because of the outbreak of violence on her beloved island, Hertford is too worried about her dad to bury her head in a book. If Jamaica is on the brink of an explosion, it would be a grizzly blast that’s been nine months in the making. On August 28, 2009 Preet Bharara, the U.S. attorney for the southern district of New York, charged Michael Christopher “Dudus” Coke, 41, with conspiracy to distribute his surname, along with marijuana and firearms throughout New York’s metropolitan area. Coke’s criminal enterprise is alleged to include other U.S. cities such as Miami, Los Angeles, and Anchorage, Alaska of all places. With a distribution network believed to extend into Canada, and across the Atlantic to Great Britain, Coke has become the latest Jamaican Don that the Western establishment is thumbing its nose at. 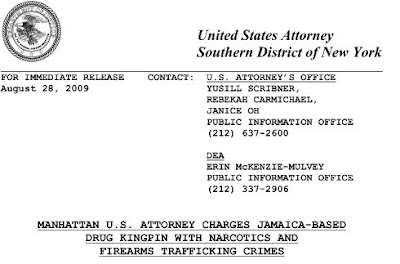 The U.S. justice department has tagged Coke—the purported leader of the infamous Jamaican Shower Posse—as one of the most dangerous drug kingpins on the planet today. The department turned up the heat on Jamaican authorities last summer by threatening them to arrest Coke so that he could be extradited to New York where he would be strung up on criminal charges. Coke is the son of Lester Lloyd Coke, who is better known in Jamaica as Shower Posse founder, Jim Brown. 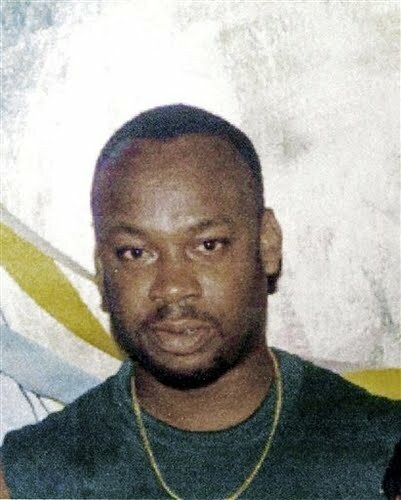 The Jamaican Shower Posse was reportedly responsible for over 1400 murders in the United States between the 1980s and ’90s. Brown was mysteriously burned to death inside of his prison cell at Kingston, Jamaica’s General Penitentiary in 1992. Brown was being held there while awaiting extradition to the U.S. for drug and firearm trafficking charges. The Shower Posse is assumed to have gotten its storied name from the steady shower of gunfire which has left several of its enemies outlined in chalk. However a more obscure claim is that the name was culled from a 1980 campaign speech made by former Jamaica Labor Party (JLP) leader, Edward Seaga, who promised Jamaicans “showers of blessings” if they were gracious enough to make him their Prime Minister—which they did, that year. Either one of these explanations are a safe bet, as they both represent two separate avenues of opinion that ultimately lead to the same place. If we trace the etymological origin of the word “blessed” we will find that it literally means to be covered in blood. After Manley and his People’s National Party (PNP) won the election in 1972, he sympathized with Cuba and was committed to democratic socialism in Jamaica. This alarmed the United States as it could not afford to have another communist sympathizer in its back yard. America was already fighting a Cold War with the former Soviet Union and Cuba. In the late 1970s, the U.S went on the offensive, actively seeking to destabilize the left-leaning PNP government. The CIA, headed by George H.W. Bush at the time, supplied arms and ammunition to JLP supporters, lead by Edward Seaga. This was during the 1976 election which fueled a vicious power struggle, causing widespread pandemonium and violence. Historically speaking, Tivoli Gardens—the birthplace of the Jamaican Shower Posse—has been a stronghold for JLP support. However it is a known fact that Jamaican gang leaders have had political ties to both the JLP and PNP since the late 1960s at the very least. The Waterhouse and Spanglers posses have been linked with the PNP. After Coke’s indictment last August, a standoff ensued as Jamaican Prime Minister Bruce Golding initially refused to comply with U.S. authorities in their efforts to nab Coke, who apparently has political ties to Golding’s Jamaica Labor Party (JLP). Last month Prime Minister Golding disclosed that he had hired a team of U.S. lobbyists to persuade the U.S. government to drop its extradition charges against Coke on the grounds that Coke was subject to illegal wire-tapping. Since then, party opposition has been calling for Golding’s swift resignation. Coke, who stands no more than five-feet four inches tall, has been characterized by the mainstream media as a little monster that needs to be locked in a cage like a baboon at the Bronx Zoo. But to the Tivoli Gardens residents who have risked their lives to protect him, Coke is mediator of local disputes. He’s also a father to the fatherless, paying for books and school uniforms so that children can go to school. Coke is also an employer who provides actual jobs for people in the Tivoli Gardens community. His construction company, Incomparable Enterprise, has reportedly received millions of dollars in government contracts. “Some people will watch the evening news and shake their heads with disbelief and ask themselves ‘why are so many Jamaicans fighting to protect this man,’” says a middle-aged Flatbush, Brooklyn male resident who spoke to WhereItzAt under the condition of anonymity. “What they don’t realize is that in any country where hope and opportunity is scarce the gangs become the de facto government of the people. These people in Tivoli Gardens are not fighting on the behalf of a gang, They’re fighting on the behalf of their government.” According to the most recent available reports, over 500 Coke supporters from Tivoli Gardens have been arrested by Jamaican police. Now, over a month removed from the day in which the manhunt for Coke began, Ms. Hertford says that her daddy is relatively safe. 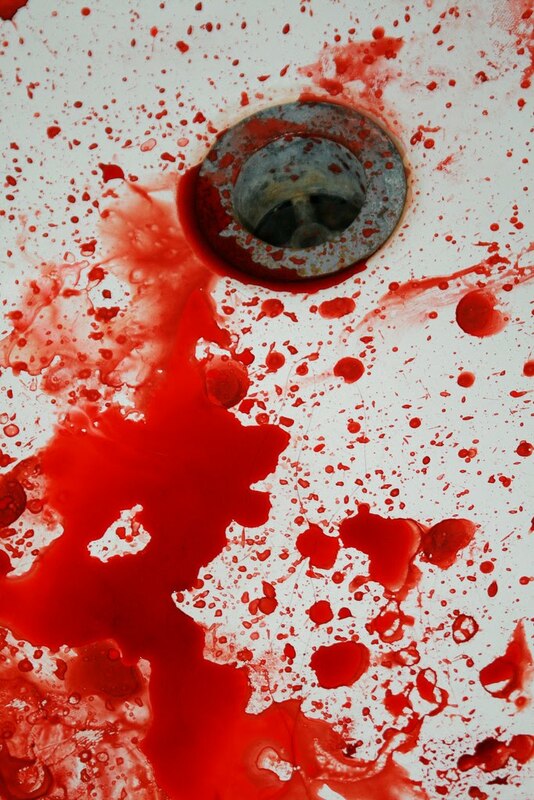 “He said that there is still violence going on down there, but things are beginning to return to normal, which is less of a burden for me.” No doubt. And for those of us who are eager to be unburdened by a tropical summer vacation, it's about time we got those tickets and passports ready to scale the friendly skies. Sweet Jamaica, here we come!